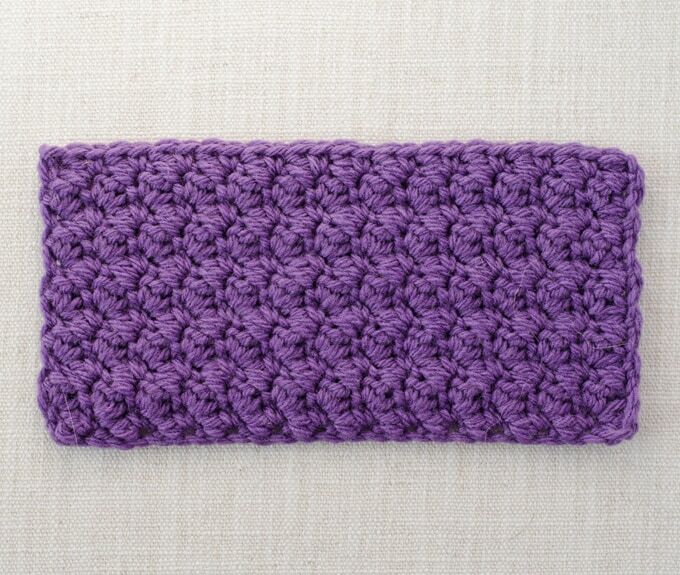 Let’s learn how to crochet the grit stitch! Also known as the Lemon Peel stitch, the Grit Stitch has a lot of texture. I used it to make the Lemon Peel Soup Mug Cozy. The pattern would also look be great for a dishcloth or a warm sweater. I just love all that nubby goodness going on! When making swatches, be sure to attach hang tags to the swatches so you can remember the stitch you made later. I like these larger hang tags so I can write out the pattern on the back for even easier reference. It’s a great way to remember the stitch as your collection of swatches grows. You can read everything you need to know about stitch swatching here. A yarn weight that works with your hook size. I used worsted weight yarn. Remember, you can make your swatch with any size hook and yarn weight. Read all about How to Swatch Here. Foundation row: sc in the 3rd ch from the hook, *dc in the next ch, sc in the next ch*, repeat * to * across to the last 2 ch. End with a dc in the next ch, hdc in the last ch, turn. R1: Skip first 2 ch (counts as a sc), dc in next ch, *skip next ch, work 1 sc and 1 dc in the next st*, repeat * to * across to last 2 ch. Skip the next ch, sc in the last ch, turn. R2: ch 1 (counts as a sc), 1 dc in 1st st, *skip next dc, work 1 sc and 1 dc in the next sc*, repeat * to * across to last 2 st, skip next dc, sc in turning ch, turn. 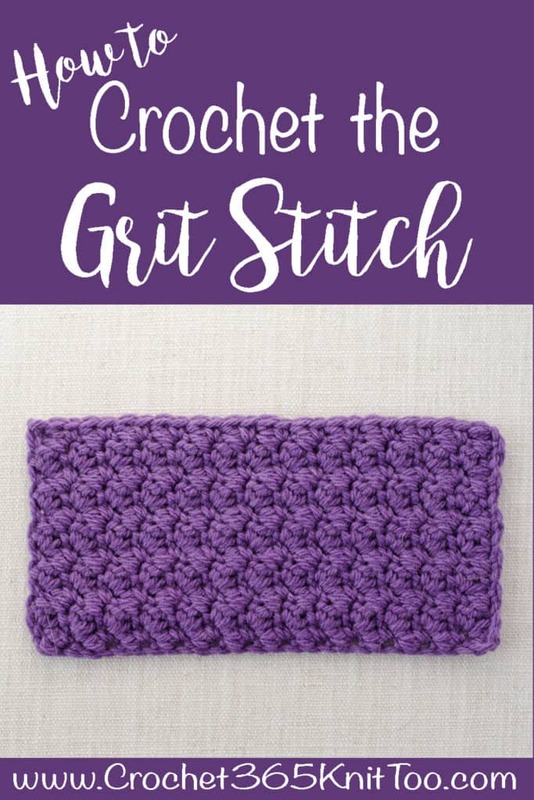 Did you enjoy learning how to crochet the grit stitch? I love to see your creations! Please share your Grit Stitch projects with me on Facebook or tag me on Instagram. 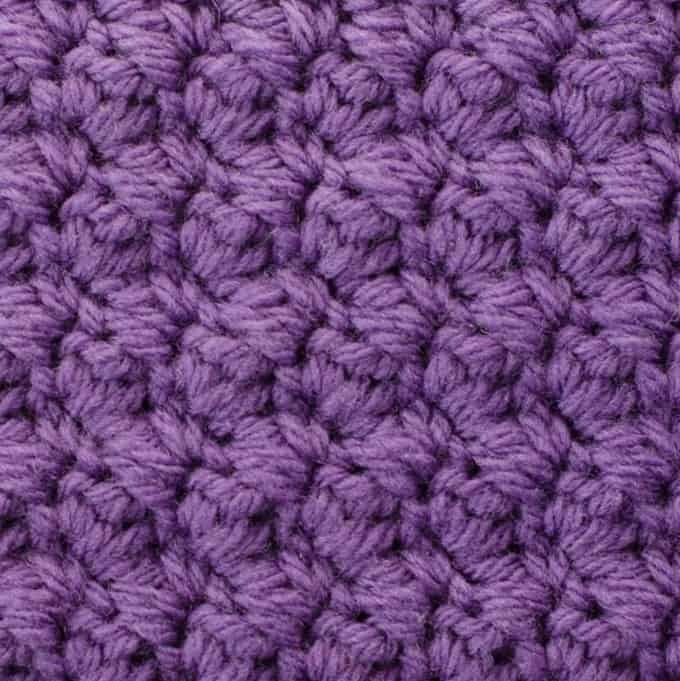 To learn more stitch patterns, please visit our Crochet Stitch Dictionary. How do you decrease the grit stitch ? DO YOU have a video? Or tutorial?